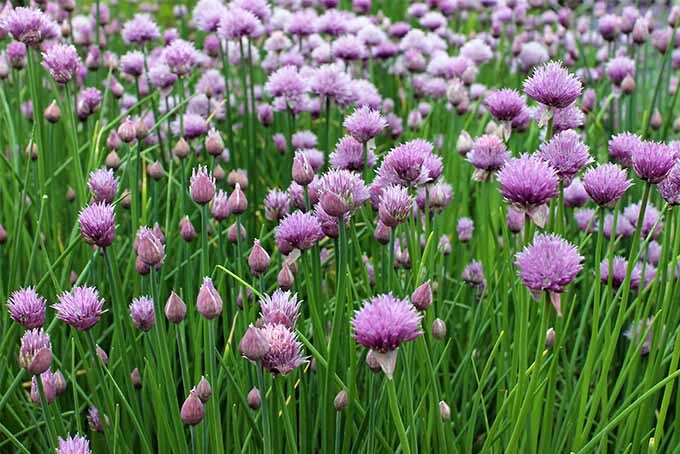 Weeds – those opportunistic, unwelcome plants that can effortlessly outcompete your edibles and ornamentals. If only there were an easy way to keep them at bay! Well, unfortunately, there isn’t. They are really good at what they do. 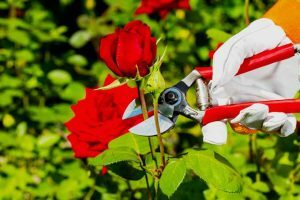 But there are some things you can do to make the job of weeding a lot less cumbersome and time-consuming. Are you with me? Let’s take a look! 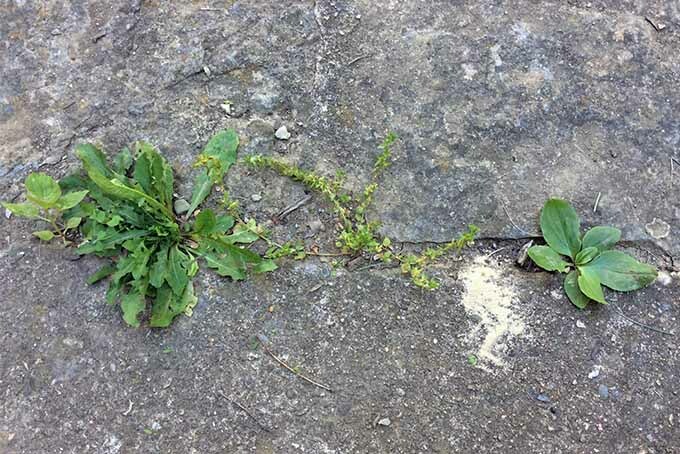 Right off the bat, if you understand how weeds work, you’ll be better prepared to prevent them. 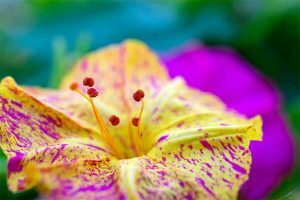 They are actually a specific type of plant with a certain pattern of behavior. 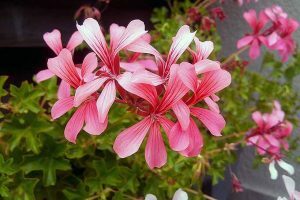 They also produce abundant seeds, which can stay dormant for a very long time. They spread rapidly. 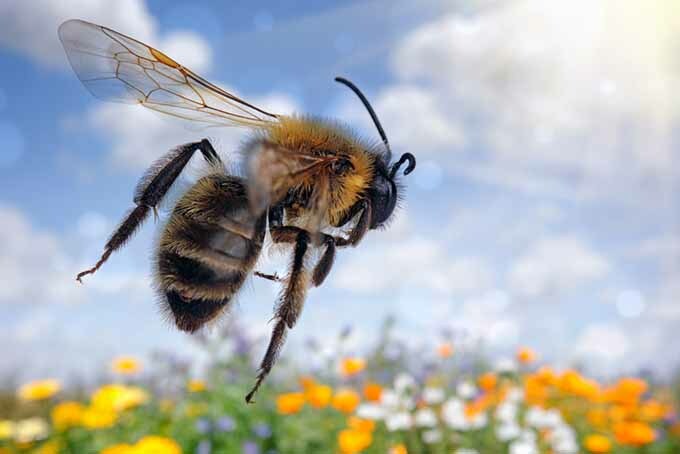 And they inhabit disturbed sites, like our gardens. Ultimately, in nature, these pioneer species have a really important ecological role. They quickly cover disturbed soil and protect the area from erosion, and even sustain soil life. Not so much in our gardens, however. But knowing that the opportunists favor the disturbed sites should give you some insight. Seeds are just waiting to be brought to the surface where they can germinate. 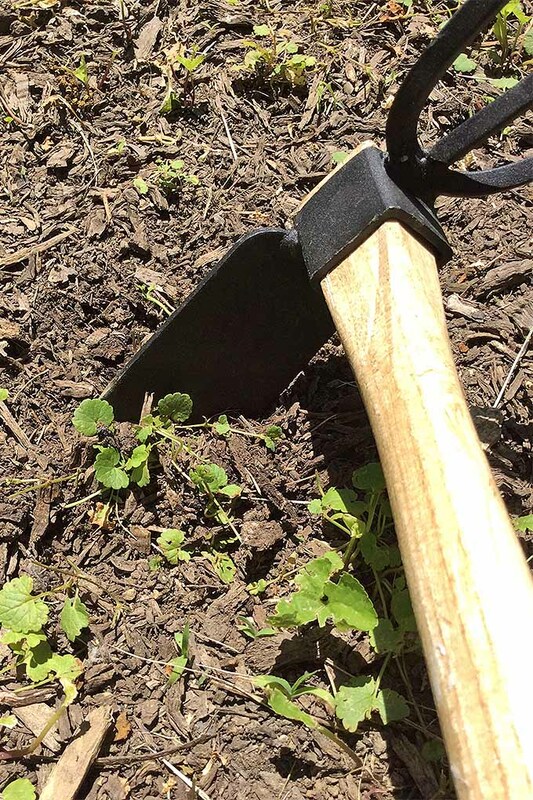 So minimizing soil disturbance is the first step to battling fewer weeds. Have you ever tried to weed on a dry, hot summer day? It’s miserable. The ground, especially if you have clay soil, is all but cement. 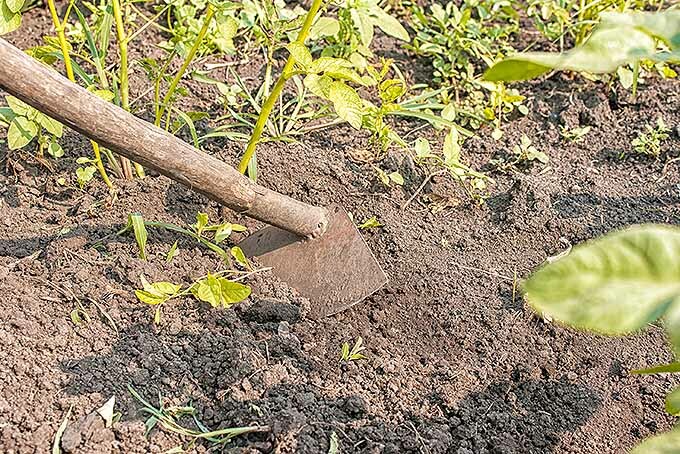 Use a hoe to cut seedlings off at the base. If they are small, chances are, severing them will kill them. For the big ones, do yourself a favor and cut them back to the ground. 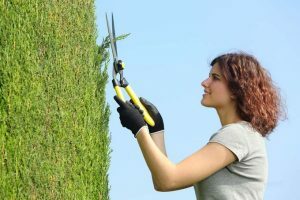 Cutting them back is still really beneficial, especially if you aren’t going to have a chance to get out in the garden again soon. This way you’ll keep the plant from going to flower and seed, at least for a time, which is huge. Still, it’s much easier work when the soil is wet. Trust me. 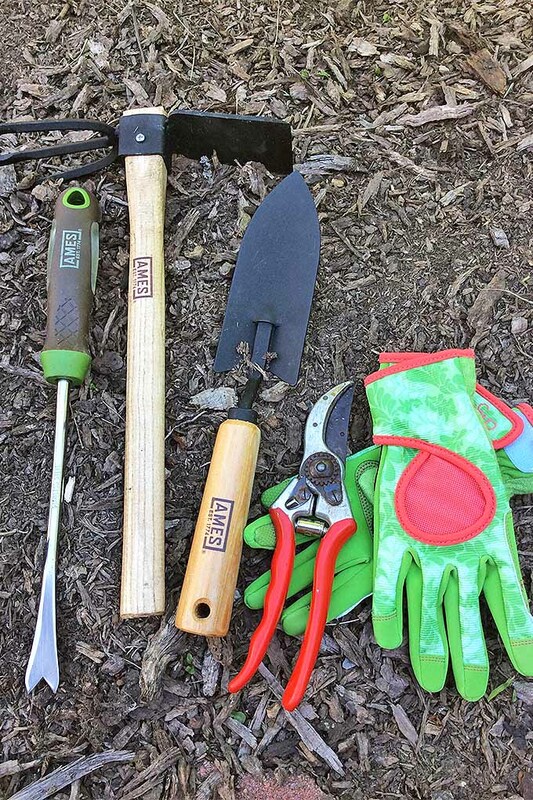 If you carve some time out to wrangle overgrown thistle, dandelions, and others, it’s best to have a few key tools that will make your job a whole lot easier – and make your hard work more effective and efficient. A good hoe, especially if you have a lot of area to cover, will be your new best friend. You can lightly cultivate any areas where you see unwanted sprouts. 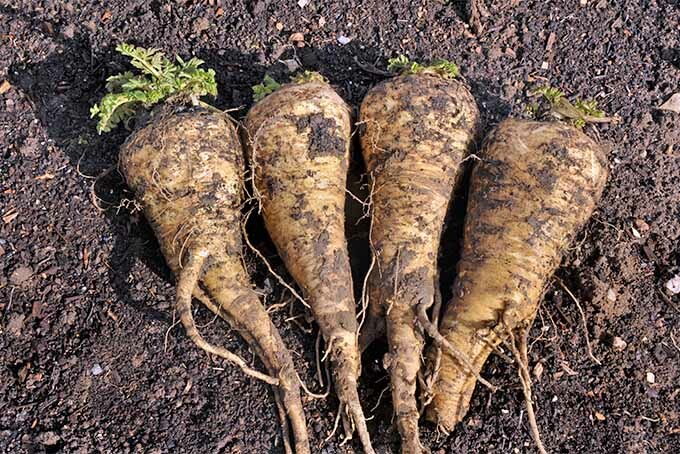 And a weeding trowel, which is usually long and skinny, is more effective than a standard trowel at dislodging roots without disturbing too much soil. 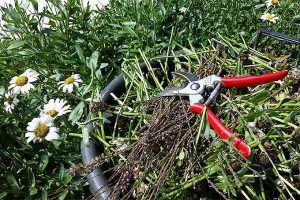 Carry around sharp pruners as well, so you can lop off any seed heads. This will help to avoid scattering seeds in the process of removing the plant. You might like the Felco F-2s that we have reviewed here, if you’re in the market for a pair. A good pair of gloves, a bucket for debris, and a pad for kneeling will also serve you well. 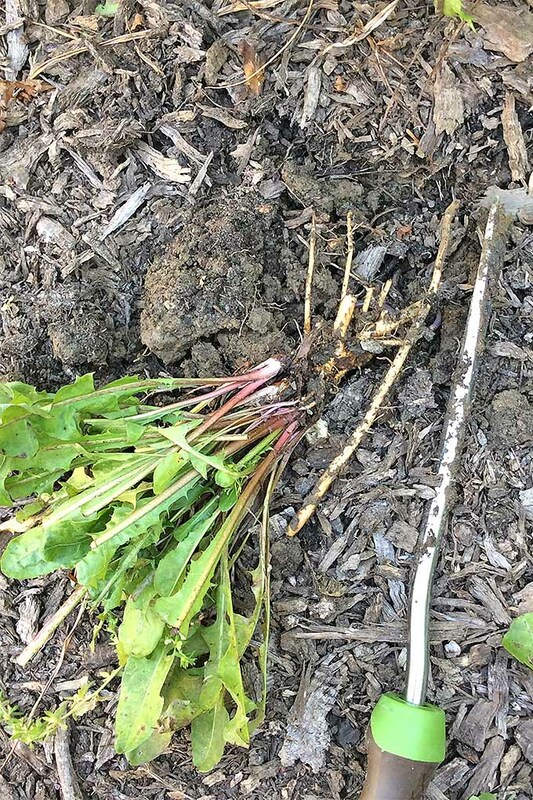 Pulling the root out of the ground, especially of a large plant, will inevitably disturb the soil. So, you can count on more seeds germinating in the same area that you clear. 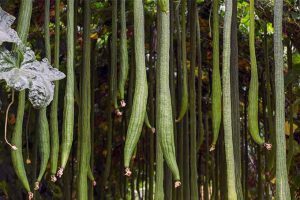 But, if you don’t get the root, the plant will continue to sap water and nutrients from the soil. For this reason, I still prefer to remove as much of the root as possible. My intention (though I’m not always successful) is to keep up with seedlings by severing them with a hoe. 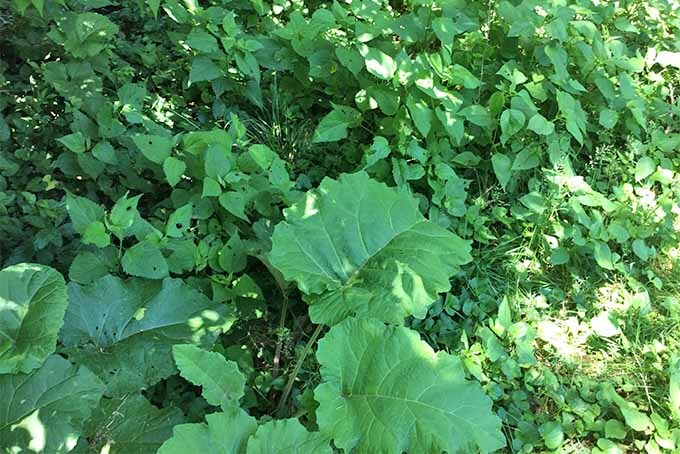 If you make it a habit to weed as you walk, you’ll save yourself a lot of work overall. Take a daily stroll through your garden. 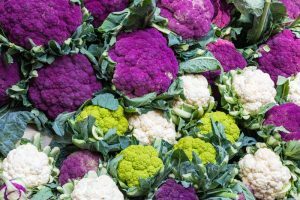 This is generally a good practice as you can keep an eye out for pests, water needs, and of course, weeds. Pull what you see on your way to the car, and back again to the front door. You can even take a different route through your garden every time you leave or come back home, or make it a point to take morning strolls with your cup of coffee on nice days. 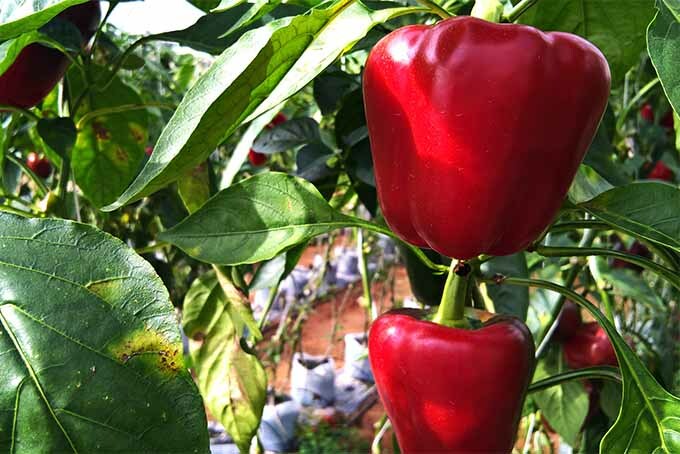 Staying on top of the state of your garden saves you from backbreaking labor later in the season. Most of the pulled debris can be added to your compost pile. 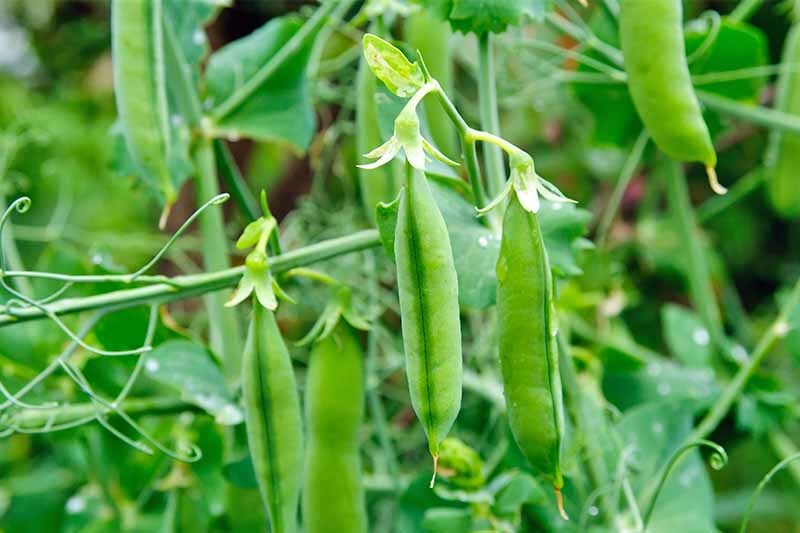 If plants have gone to seed, however, you’ll want to dump them at a site that won’t interfere with your garden. For example, there’s a ditch between my house and my neighbor’s house. I dump all of my unwanted plant debris there. I weed-eat the area regularly, so plants never have an opportunity to flower. And it’s in such an inconspicuous area, no one would ever know I dump debris there. Here’s a caveat: you certainly don’t want to dump anywhere that it’s illegal. 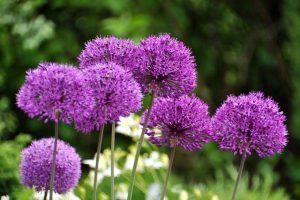 Also, don’t dump seeding plants where you won’t be able to manage them – they will just germinate, mature, go to seed, and find their way back to your garden. And you don’t want that. So, dump them either off site or in a place that is maintained. If yard waste pickup is an option in your area, take advantage of it. Also, brush up on your identification skills. Here, in zone 6, I refuse to put wild onion or nut sedge in my compost. They are way too good at regenerating, and I don’t like to take the risk. Technically, if compost gets hot enough, weeds and their seeds will all be killed. 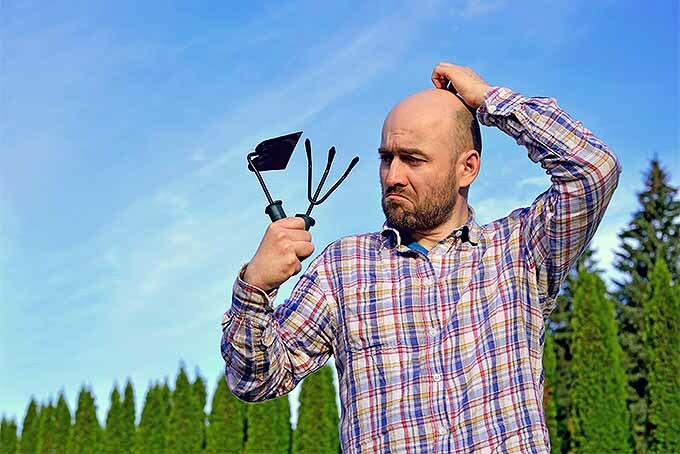 But oftentimes compost doesn’t reach the necessary temperature to get the job done, between 120°F and 150°F. In late winter to early spring, lay down a thick 2- to 4-inch layer of organic mulch. This will go a long way to keep seed germination down. Germination typically occurs when seeds are within an inch or two of the soil’s surface. So, adding a few inches of mulch on top of the soil buries seeds even further, minimizing their exposure to the sun and warmth that triggers germination. Woodchips, pine fines, and straw are all great options. If you have large, wide paths, you might want to consider laying newspaper or cardboard down. Then, cover the material with a few inches of mulch. Weeds beneath the cardboard or newspaper won’t stand a chance. 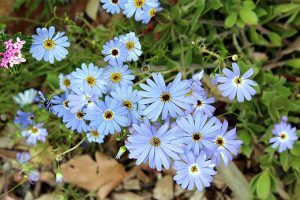 Instead of waiting for weeds to take over at the same time as your desired plants, try getting ahead of them. One way to do this is with stale seedbed cultivation. 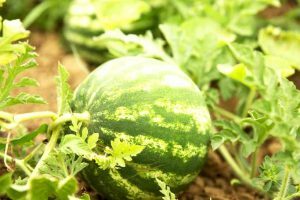 In short, you want to prepare your garden bed a month early. 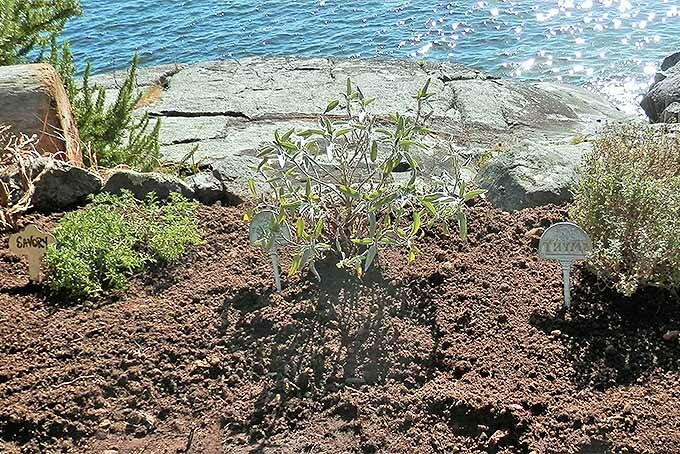 Amend it, till it (if you prefer), and get it completely ready – as if you were going to plant it that day. 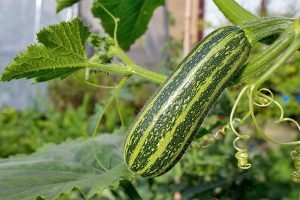 Then, water it – and keep the soil surface moist. The idea is to get as many weed seeds to germinate as possible. In about two weeks, you should have a nice flush of green. 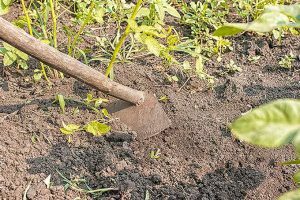 At this point, take a hoe and cultivate the soil, being careful not to disturb the soil more than an inch or two below the surface. Otherwise, you’ll invite more weed seeds up to the germination zone. 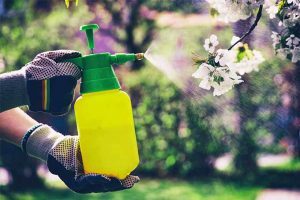 This will wipe out a large portion of weeds that would have posed a problem later in the season – all before the season officially starts. I’ve never tried it myself, but this seems like a surefire way (pun intended) to nix some pesky plants. If you take this route, be absolutely sure that you are not burning poison ivy, or anything else that can create potentially harmful smoke or airborne particles. 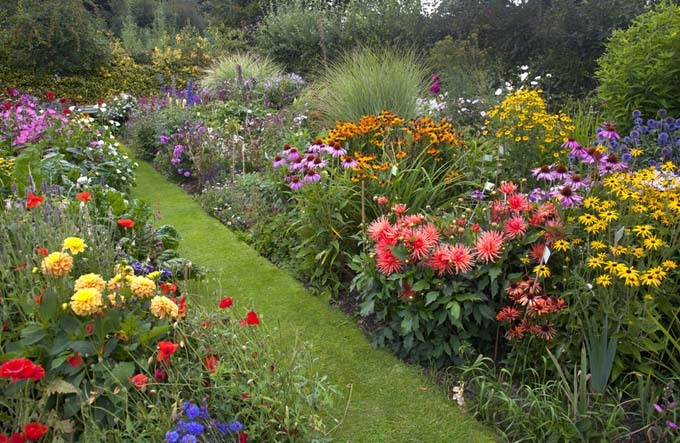 Here’s the bottom line: weeding is a fact of gardening. But it doesn’t have to be all-consuming. 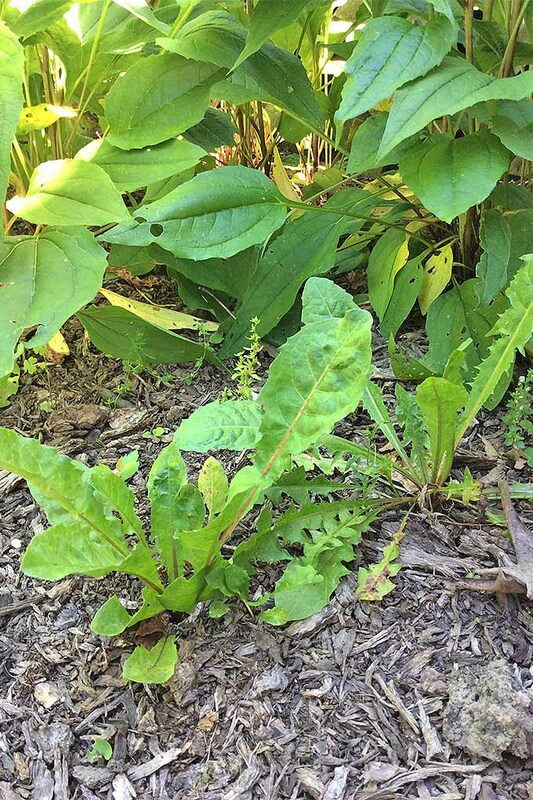 Check your garden often and pull unwanted plants as you see them to avoid the backbreaking labor of clearing out a garden full of mature weeds. It’s as simple as that! And you’ll be so glad you took this simple tip to heart when you’re gazing out over your beautiful beds and pathways with a cool glass of iced tea on a warm summer day rather than bending over 6-inch weeds in the hot July sun. 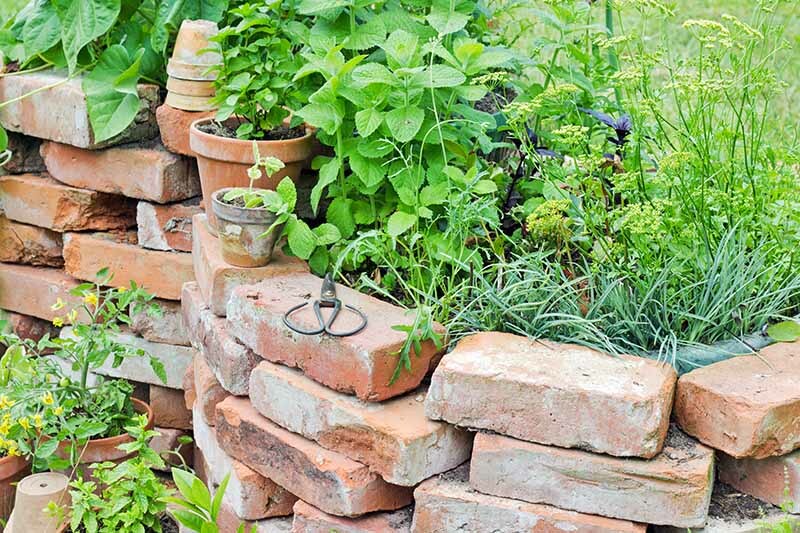 What’s your secret to a weed-free garden? Share everything you know with us in the comments below! Thanks for the tip about preparing your garden for planting early. It sounds like a really efficient way to basically design weeds out of the garden. Now what will I do with all that extra time? This article is really most useful. It took me a long time to find something practical and useful among all the weed killer ads and articles. Thank you!